Winter Weddings tend to be sometimes an overlooked season in the wedding world. 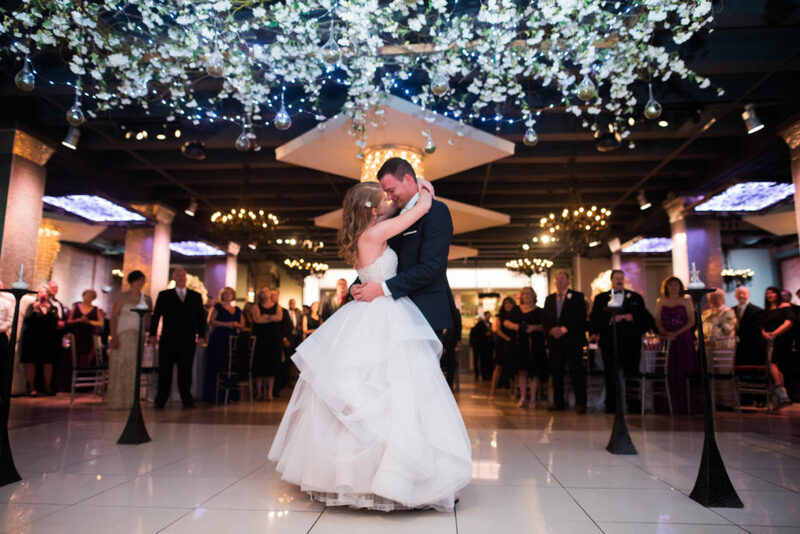 Sure, spring and fall can be the more popular seasons to tie the knot, but with the right team on your side, any season can serve as the perfect, intimate ambiance for your big day. That explains why we’re seeing a growing trend in more brides-to-be planning winter weddings. In addition to special pricing, winter weddings tend to give couples a more exclusive feel to their event. Not only are vendors able to devote more time to their clients in winter, but guests are also more excited to attend when personal schedules are less jam packed. One of the biggest fears of a winter wedding is keeping yourself and your bridal party warm. There are several sleek options that do not include even a hint of faux-fur. Channel your inner Kate Middleton with a long sleeve dress. Gowns can have permanent sleeves or come as a removable option to transform your look from ceremony to reception. You can also consider adding a fashionable cape to your gown to give you an “Old Hollywood” moment on your big day. For bridesmaids, add a sleek blazer to their ensembles. This on-trend look takes inspiration from fashionistas like Sarah Jessica Parker and Gisele Bundchen who have been seen rocking the style on the red carpet. 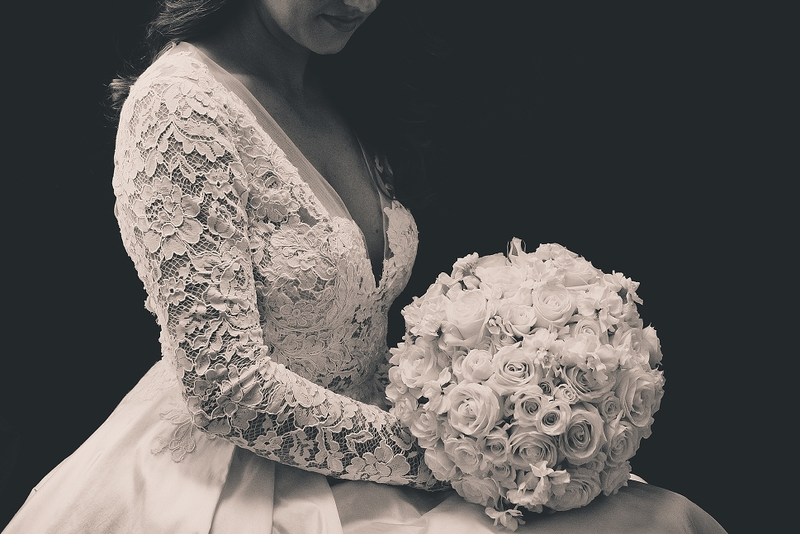 According to the experts at Beautiful Blooms, there is no reason your winter wedding has to feature white décor. Jewel tones like magenta and deep orange with gold accents can add pops of color throughout the space. Kermit and magenta hydrangea, dark purple and burgundy snapdragons with touches of Nina roses and gold orchids will add a lively display of brightness during the dark winter months. It’s called the season of light for a reason! 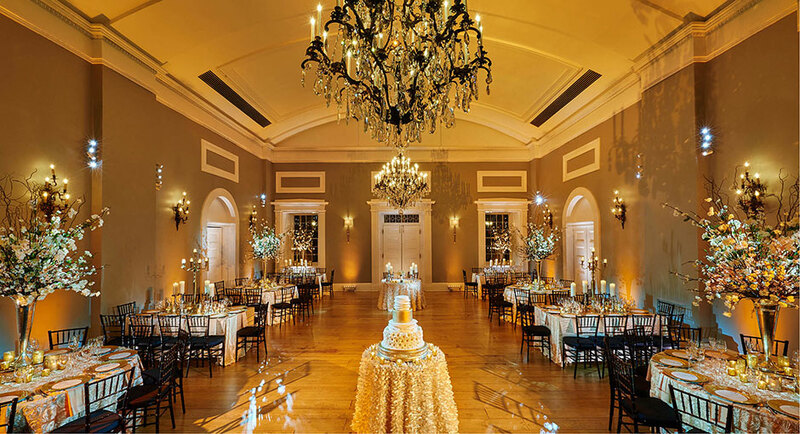 Gold and amber uplights will add warm tones to create a toasty ambiance. Adding branches painted gold is one of our favorite winter decor statements. Plus, it will add some height and glam to your centerpieces on the cheap! For the more reserved natural winter bride, non-flowering plants make an eclectic bouquet that is still a show stopper. With mint green being so popular these days, it is no wonder that a bouquet made of succulents even exists. Bouquets made of pine cones are a thing, too! A hanging structure of boxwood greenery and seeded eucalyptus with striking pheasant feathers or bright jewel-toned peacock feathers will be an unexpected exciting touch for the winter bride who is not looking for the traditional snow and sparkle. Transport your guests’ taste buds to warmer climates through your signature cocktail. 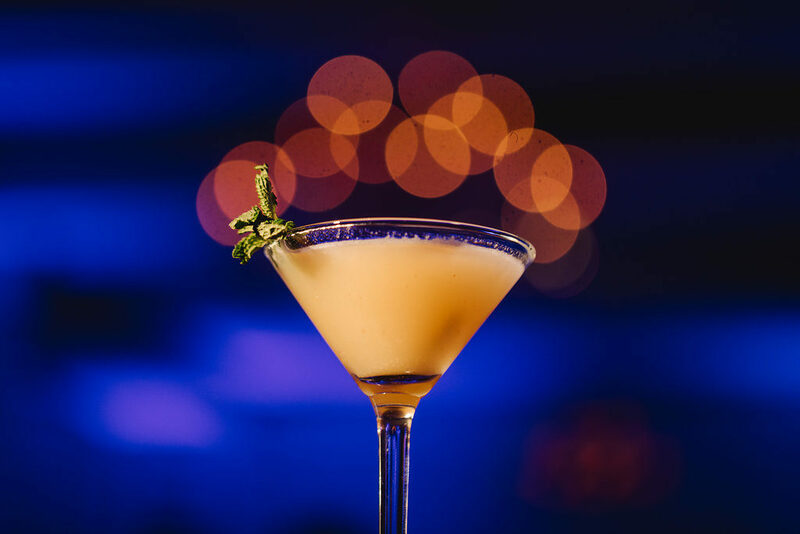 A refreshing cucumber-infused cocktail or pineapple mixer will get everyone thinking of the sun. For a unique experience, that matches the glory of spring and fall, bring on the winter plans! 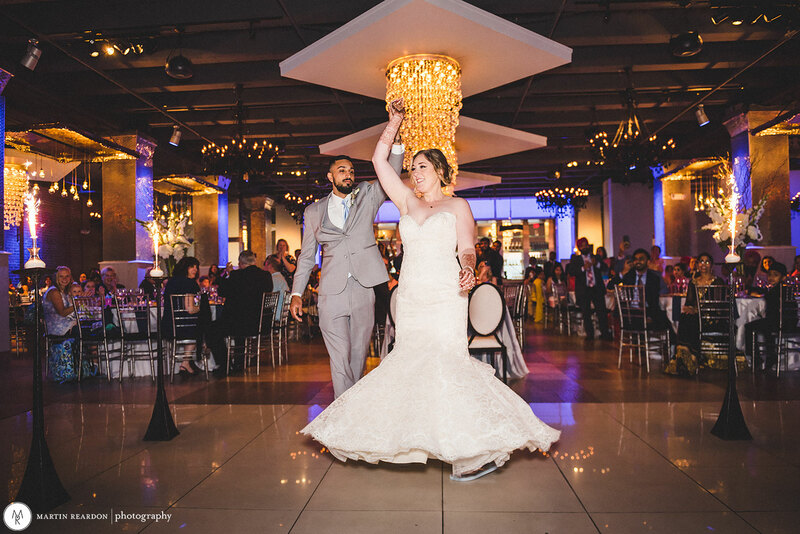 Regardless of the details you choose for your winter nuptials, remember it’s always warm on the dance floor! 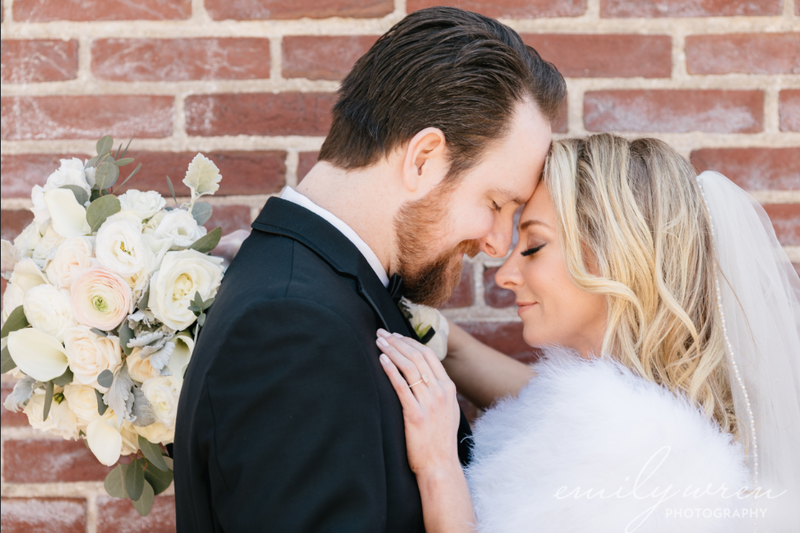 Winter weddings are just as great – if not greater – than Spring & Fall. We can help!